AVIVA Rental Systems can meet all your conference, convention, temporary or emergency business equipment needs with our inventory of HP and Minolta printers (b/w & color; laser and jet) as well as copiers, faxes, scanners and shredders. If you are running the registration desk for a conference, convention or trade show, AVIVA has all the equipment you need to make sure everyone gets checked in and on their way. Do not pay outrageous costs for hotel and convention center "Business Centers". AVIVA's affordable rental prices for printers and copiers and scanners make it easy for you to set up your own business center. We can even fill your laptop rental needs for the registration desk or an Internet cafe. Having a teleconference and need a polycom? Yes, AVIVA rents several models of polycoms. Below is a sample of some of the HP printers and multi-function printers in the AVIVA Rentals' inventory. Please note specific models are subject to availability. 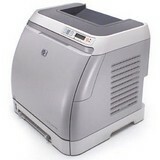 Click here for specs on the available scanners for rent. Please call as far ahead of your rental date as possible so that we can meet any specific requirements for your printer, copier, scanner or fax rental needs. Call AVIVA Rental Systems at 804.353.9212 or toll free at 877-564-9143 or e-mail John Dunn at john@avivarentals.com today! Streamline office tasks with a wireless-enabled color MFP that provides touchscreen access to business apps. Print from virtually anywhere with HP ePrint. Boost productivity with versatile scan, fax, and copy options. Ideal for printing color at the office and streamlining workflows; completing fax, copy, and scan tasks with ease; and printing from virtually anywhere. Supports the following devices running iOS 4.2 or later: iPad,iPad® 2, iPhone® (3GS or later), iPod touch® (3rd generation or later). Requires an Internet connection to the printer. Feature works with any connected Internet- and email-capable device. Requires HP Web Services Account Registration. Print times may vary. 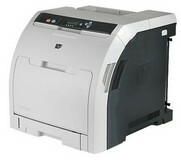 For a list of supported documents and image types, see www.hp.com/go/eprintcenter.com. Professional-quality color and results. Finish copying and scanning jobs with less effort, using the 35-page automatic document feeder. Not inkjet. Not laser. 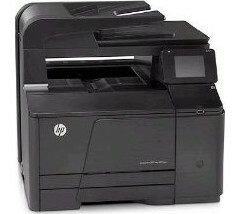 HP PageWide business printers provide the best combination of print quality, and speed. HP PageWide delivers professional-quality colour documents, fast two-sided scanning, and high energy efficiency. 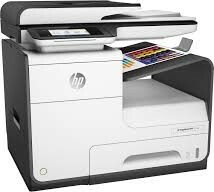 Although the 577dw is among the first group of HP printers to sport the company's new PageWide branding, it's in the second generation of MFPs to use the HP technology for which the brand is named. PageWide printers have a stationary printhead that spans the width of a page. This permits much higher print speeds, and higher-quality text and graphics, than standard inkjets. 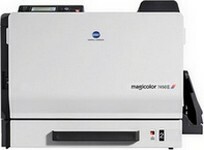 Konica Minolta magicolor 7450 II office color printers produce extraordinary image quality - in color or B&W and are equipped to handle a diverse range of media to suit all your business printing needs. HP 5550 Color LaserJet provides superior print quality and is a fast, powerful, easy-to-use wide-format (A3) color laser printer for general office use. HP's in-line color printing provides professional wide-format (A3) color documents at the speed of black and white. Handles an array of paper types, including: extra heavy, glossy, heavy, heavy glossy, high gloss images, intermediate, light, plain, recycle, tough, plus cardstock and transparencies. The HP LaserJet M1522n MFP supplies professional print quality in 24 pages per minute, and for added efficiency and convenience, you can put it on a network. Print first page in less than 9.5 seconds. Print complex documents via built-in support for all popular printer languages (including PCL 5e, PCL 6, HP PostScript level 3 emulation). 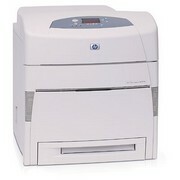 If it's power and functionality you want, then this HP MFP is the device for you. Fast speeds, consistently great print quality, value-featured networking, a new fax solution, and a host of additional features mean serious improvements in user productivity. Print speeds up to 24 ppm minimizes waiting so you can be more productive. Instant-on Technology prints your first page out from PowerSave two times faster than printers without it and see your first copy fast as well. Original HP toner designed with the MFP empowers users with reliable, high-speed, high-quality printing. HP LaserJet 3390 All-in-One (AiO) lets you print and copy complete, high-quality, documents in no time, at speeds of up to 22 pages per minute (ppm) letter. 64 MB memory (expandable to 192 MB), 4 MB fax memory. The HP LaserJet 4000 family printer is a speedy, 17 ppm laser printer that offers 600 dpi printing, 1200 dpi printing at half-engine speed, fast first page out, and improved image quality for "picture-grade" images. 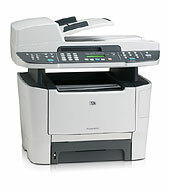 The HP LaserJet 4000 family printer is rated for a duty cycle of up to 65,000 pages per month. The Color LaserJet 2600n produces the high quality printing and performance expected from an industry leader. 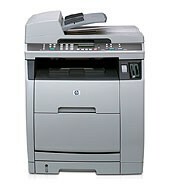 The HP LaserJet 2600N is a network-ready color laser printer which can create high-impact, professional color documents. The HP 2600n Color Printer features a high duty cycle of 35,000 pages per month, which provides exceptional page production over the life of the printer. With the HP Color Laserjet 3600N, create marketing material quickly and easily and get fantastic print quality right out of the box. Experience fast, reliable output all in this small package - users will appreciate the 17ppm speed and color capabilities of the compact HP 3600N Printer. The HP 3600N Color Printer is network ready for flexible sharing among multiple users. HP PageWide 377dw Wireless Color All-In-One Printer .